This week the interns learned some photography skills with Hennie, mainly how to take pictures in manual mode on a DSLR camera. In this mode, I have to choose the aperture, shutter speed, and ISO I want to use to take the photo. These work together to get a white balance of zero so that the picture will turn out clear. 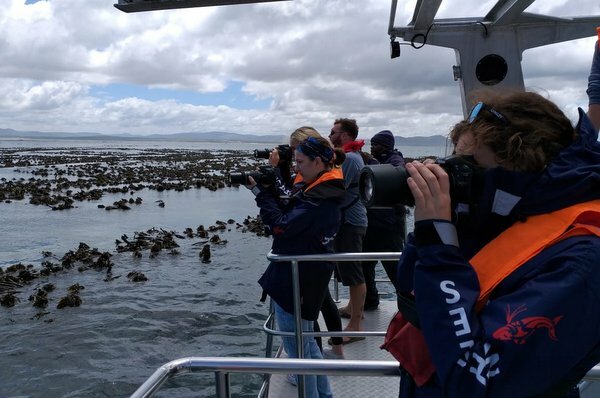 To test the skills we had learned and practiced in the lecture, we headed out onto Dream Catcher for an Eco tour with our cameras ready to get some experience. 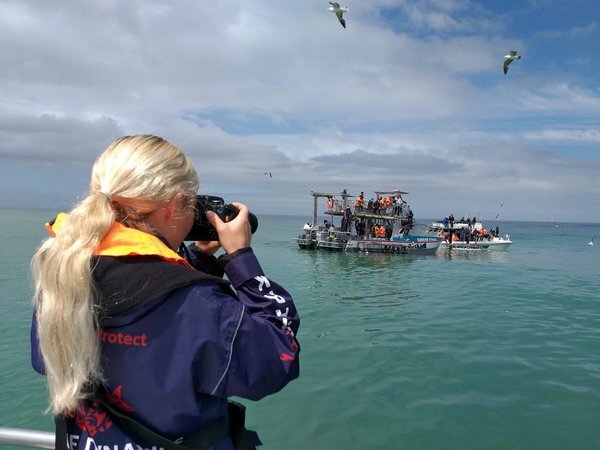 The first stop was near Slashfin, Marine Dynamics’s shark cage diving boat, hoping to see some bronze whalers or a great white shark. The company hadn’t seen a great white in almost nine weeks, but there had been a sighting of one the day before. I kept my camera focused on the bait line and zoomed in hoping to see a shadow or dorsal fin. Unfortunately, nothing. We moved up to a new location with the shark boat. Once again cameras were at the ready. In wildlife photography you have to be prepared all the time. You never know when an animal is going to appear or when the perfect shot will present itself. 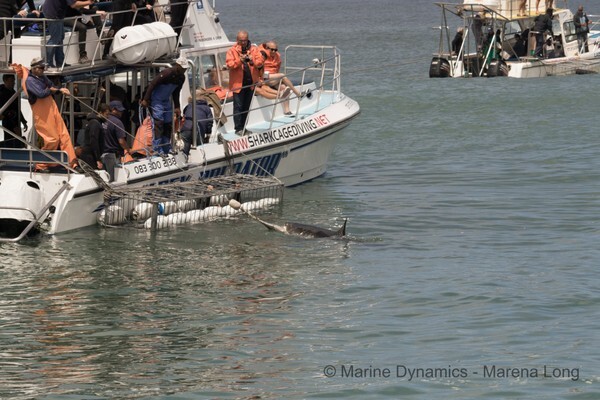 After a few minutes we spotted a shadow, then a great white shark went after the bait line. I snapped as many pictures as I could, trying to get a good mix between photos zoomed in on the head and the whole the whole shark. 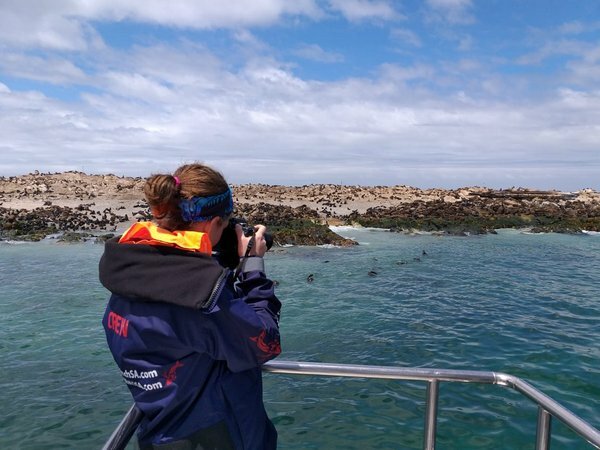 After seeing the great white and getting some awesome pictures, the boat headed towards Dyer Island to check out the African penguins. 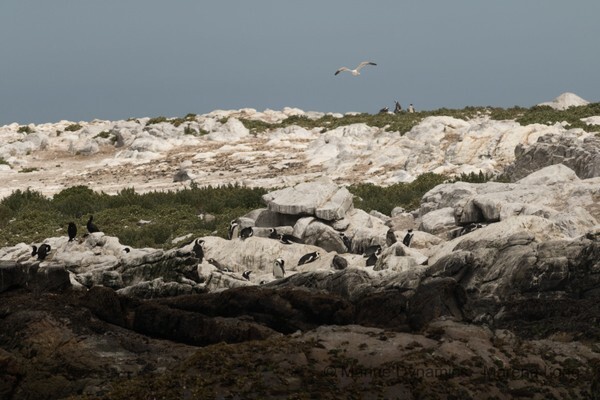 The penguins were sitting toward the middle of the island so it was important to use the proper zoom, shutter speed, and ISO so the pictures wouldn’t be blurry, especially since the weather conditions were a bit more sunny near the island. Dream Catcher then headed towards Geyser Rock to see some cape fur seals. The seals were a challenge to take good photographs of. Those sitting on the rocks were pretty simple to take nice pictures of, but the ones in the water were incredibly fast. It was important to take multiple pictures so, hopefully, I wouldn’t miss anything. I also had to try and anticipate where the seals would come up from the water. 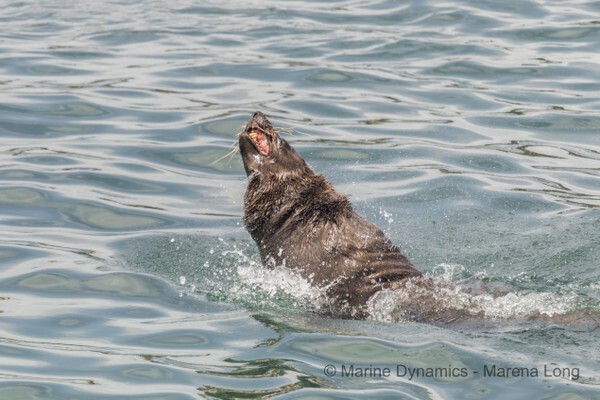 I really enjoyed photographing the seals because they would get really close to the boat.